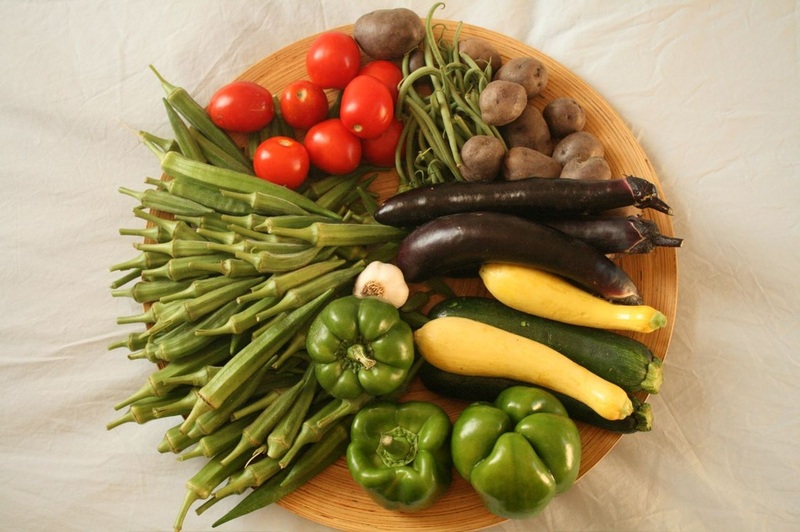 Vegetables Only: This share includes 1 box of vegetables (about 20 lbs) weekly. It may contain any "in season" vegetables (and fruits too!). 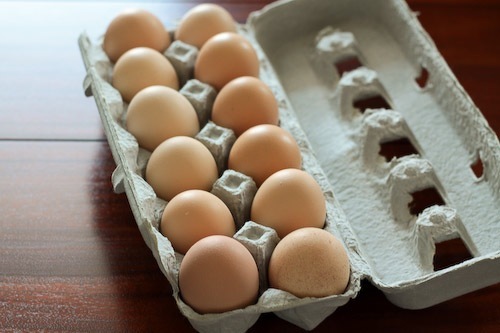 * 1 dozen eggs can be added per week for an additional $15 per month. Meat Only: This share includes approximately 22 pounds of beef, pork, and chicken monthly and a Thanksgiving turkey. A typical month would include 2 whole chickens (4 lbs each), 2 lbs sausage, 1 lb bacon, 2 lbs pork chops, 3 lbs pork burgers, 2 lbs ground beef, 2 lbs beef steak, and 2 lbs beef roast. Family Value Plan: This share includes 1 full vegetable share, 1 full meat share, 1 egg share, and 1 loaf of homemade bread per week. It is the perfect grocery plan for your whole family! Payment: We require a $100 deposit to reserve your share because shares are limited. The deposit will be applied to your first payment. For 12 month shares, payments are due quarterly in 4 equal installments (April 1, July 1, October 1, and January 1). For all other shares, payments are paid in two equal installments (April 1 and July 1). As always, please contact us with any additional questions. We would love the chance to speak with you about becoming a part of our farm family!